Triumph Speed Four Lowering kit for years 2003-2005. 1.2 inch lowering links for Triumph Speed Four. Lowers the rear suspension and the seat height. Replace the standard suspension brackets with the new lowering triangles in the kit. High quality lowering kit mad in steel. Triumph Speed Four Lowering links for year models 2003, 2004 and 2005. 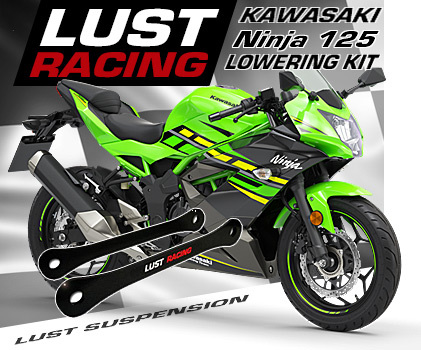 The lowering kit includes suspension lowering brackets made in roll forged steel that replaces the standard suspension linkage brackets on the Speed Four. The triangular lowering brackets in the kit are stronger than the standard parts that are replaced during installation. 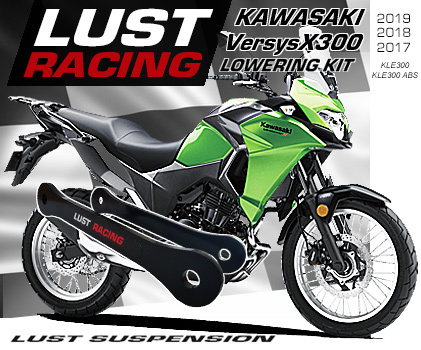 Do not compromise safety, go for a genuine Lust Racing lowering kit engineered to last the lifetime of your bike. This kit lowers the rear suspension by 1.2″ inches and reduces the seat height. Very good accessory for short riders who have difficulties reaching down and get both feet flat on the ground. Made in England. Model specific installation instructions included.